Yesterday, Sony came clean about accidentally erasing a list of winners for a Japanese promotional contest. 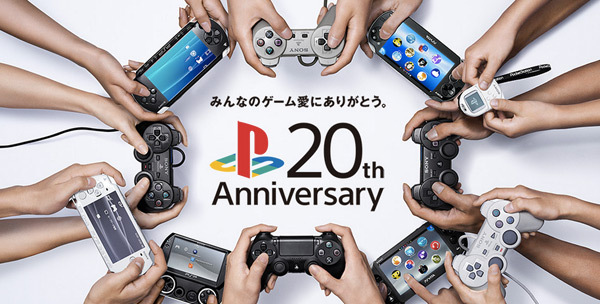 Last year, Sony put together a cute little promotion that gave Japanese gamers the chance to win one of those hyper-popular 20th Anniversary PlayStation 4s. Customers who purchased a PS3, PS4, or Vita between December 4th and January 15th were given a novelty calendar and a promotional code, which put them in the running. Unfortunately, the promotion didn't go as planned. Yesterday, Sony issued a statement admitting that every piece of data related to the contest has been lost. "We've done everything in our power to recover the lost information, but have determined that it's technically impossible." Sony didn't go into much detail about what caused the data loss, saying only that it was "accidentally erased." However, the company was quick to reassure customers that no "leakage of personal information" has occurred. I'm actually really impressed with the way that Sony is handling this situation. It's not uncommon for promotional contests like this to simply vanish after the deadlines pass. Publishers often work tricky legal language into the entry forms, so they can squirm out if they need to. But Sony isn't ignoring the issue. The company is asking customers to resubmit their information through an online portal, and 123 new winners will be selected next month. There's even a portal for people who discarded the promotional calendar/code. Sony is developing quite a reputation for data insecurity. The "Guardians of Peace" hack that happened in November is still fresh in our minds. Hundreds of Sony's internal emails flooded the Internet and many were extremely unflattering. Plus, back in 2011, the PlayStation Network was taken down for 23 days after hackers compromised about 77 million accounts. To this day, no instances of credit card fraud have been linked to the hack, but it cost Sony about 171 million dollars. Taken in context, the accidental erasure of a Sony's contest information is a minor inconvenience. And all the company can really do is say "Oops, sorry" and move on. Plus, this kind of data loss is common among large businesses. Creating backups always feels like an unnecessary chore in the moment. It's an easy task to overlook until you accidentally delete Toy Story 2. Then you panic. Back up your data, people. Don't be like Sony.